“Murder on the Nile” performances are in Leedy Theater from March 29 to April 7. The Wig and Buckle Theater Company performed its second play of the year, “Murder on the Nile,” this past weekend. If students did not get a chance to see it already, it will be performed again this upcoming weekend. “Murder on the Nile” is a 1944 murder mystery that is based on the 1937 novel written by crime writer Agatha Christie. The play spans three acts and follows a newlywed couple on their honeymoon which takes place on a riverboat cruise along the Nile river. Fatal circumstances take place after a brutal murder occurs onboard the ship. A number of passengers come under immense scrutiny for causing the murder. As tension builds the audience will be captivated as the story unravels to reveal the culprit. Performances are open to students, as well as the public. The ticket prices are as follows: LVC students – free, students and LVC alumni and faculty – $10, Adults – $15, seniors and children (under 10) – $5. 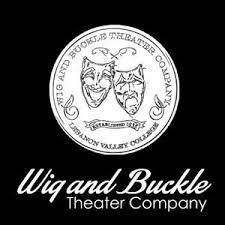 This upcoming weekend performances will take place on Friday, April 5, at 8 p.m., Saturday, April 6, at 8 p.m. and Sunday, April 7, at 2 p.m.
Visit http://www.wigandbuckle.comfor more information on showtimes for upcoming performances and to reserve tickets.